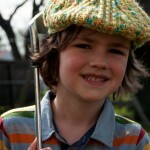 A while ago I debuted the Big Boy’s Cabled Golf Cap as a free crochet pattern. And within the hour I had a bunch of requests for upsizing! 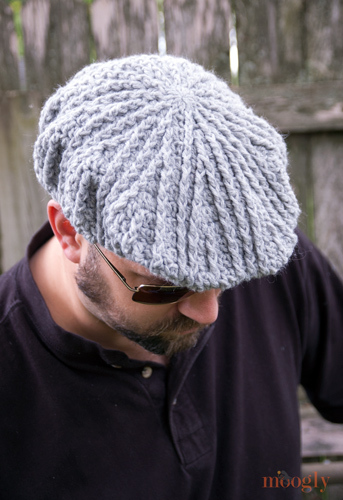 I played around with different hooks and yarn weights, tried adding and subtracting rows, and now I finally have the details ready on how to make the Men’s Cabled Golf Cap, sized for a 23″ inch head – standard men’s size. Of course, women can wear this hat too – and if the brim is a little too big, try making the last couple brim rows with more tension or a smaller hook. Klik hier voor de Nederlandse PDF van dit patroon! Round 5: Ch 2, fpdc in the 1st st, dc in the next st, 2 fpdc in the next st, dc in the next st. *Fpdc in the next st, dc in the next st, 2 fpdc in the next st, dc in the next st. Repeat from * to end. Join to first fpdc with a sl st. (60 sts) At this point the circle should be approximately 5″ across. Round 18: Repeat Round 16. Do NOT break yarn, continue with Brim (worked in Rows) below. Row 25: Ch 2, 2 dc in the 1st st, dc in the next 14 sts, 2 dc in the last st. (18 sts) Break yarn, leaving a 24″ tail for sewing. Assembly: Fold brim on Row 22, so that Rows 23-25 are on top of Rows 20-22. (See photos below.) Bring front of hat body down to meet brim, and use tail to whip st them together, being sure to sew through both layers of the brim. Finish off and weave in ends. This cap is great for the full grown golfer or flat cap aficionado – my grandfather-in-law had an extensive collection, I wish I’d had the chance to make one for him. I hope you enjoy making this hat for the ones you love! And I want to give many kudos to my husband Geoff for playing model – he prefers working behind the camera and he was a great sport to model for me! Many thanks to you Tamara and Geoff for your efforts to make and model this golf hat for men! I know my husband will love it! I will be looking for yarn this weekend! Thanks again to you both! Thanks! Just enough time to whip it up for Father’s Day. What a terrific pattern! Thank you very much! 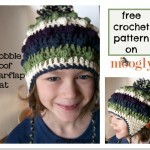 I will be making this hat today for my brother, I know he will love it! Thank you for making this a free pattern. I need help. I’ve made this twice now & both hats are too small for even my head much less my dad’s. I used a 6 hook first time and second time I did a 6.5 & still to small. Any advice? Should possibly increase a few rounds? Sounds like you’ve got a much tighter gauge – or it might be a different yarn. Adding a few rounds, or not decreasing as much, would definitely help. After row 14 I had a large gap in the slip stitch area. Is that right or did I mess up somewhere? I love this pattern, by the way. It’ll be a great gift for my dad. Hi Chris! I’m not sure what your referring to as slip stitch area? There aren’t any slip stitches in Round 14. Ah, the sl st at the end, I didn’t think of that one. 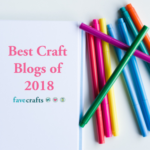 Hm, I’m wondering if you are crocheting in the sts behind the post sts? The ones you made the post st around? It’s so hard to “diagnose” these things online. Hmm. I guess I’ll have to go back and experiment. Thank you though! So I love this pattern, it’s very simple but I’m having an issue. My circle is curling in the wrong way. From the picture, the cables are on the outside, my circle is curling so that the cables are on the inside…any suggestions? Thank you so much!!!! I can’t wait to finish it!!! Round 4 has a (dc, fpdc) in same stich, which I know how to do but then Round 5 has a (fpdc, dc) in same stitch, and I’m not sure where to put the double crochet after making the fpdc. Thanks for the help. Hi Laura! It’s the same just in a different order. After working the fpdc around the post, go behind the just made fpdc to work the dc right into the top of that same stitch. Does that help? I am not sure how to do the (dc, fpdc) in the same stitch in Round 4. Sure! I’ll try anyway. 🙂 The dc is worked into the stitch just as you normally would. Then, the fpdc is worked around the post of that same stitch. The top V of the post stitch will be a little to the left of the dc stitch. Does that help? I haven’t made the hat yet but I’m really excited to make it. I do have a question. My husbands head is slightly larger than most. How would you suggest to add another row to to make it 24″ around? I think the easiest thing would be to bump up a hook size or use a thicker yarn – or just use a larger hook size for the brim portion! There are decreases before the brim as well, so eliminating some of the decreases would work too. I’m afraid I’ve shown everything I’ve done! I know some people have added a bit of plastic canvas or cardboard to help stiffen and shape it – maybe that will help? if i used a RED HEART yarn, what size of yarn will you suggest?. thank you for your response, i’ll make one for my partner,sure he will like it,. Hi Clare! Sorry you’re having trouble. Are you getting gauge? 😀 Whew! I never think of it myself – we all get so stuck in our ways I think. Glad that’s sorted! Hi Clare, I have only made this hat tonight and it worked up perfectly. I used a chunky yarn and a 6mm hook. I would normally use a 7mm hook for chunky but because the yarn was heavier than worsted weight I went down a hook size to compensate. Hope this helps. Hi,tnx so much for these pattern,im a little confused about round 4. Is it dc and fpdc in one st? Thank you,but unfortunately i could not make it,could you plz show it with photo? I can try to add a photo in a while. But basically instead of skipping the top of the stitch like you normally would when working a post stitch, you also work into the top for the dc st.
Tnx very much for ur attention. Be success. I did as instructed and I came up with WAY more than 48 stitches … I had 68. I’ve pulled this out and done round 4 three times now and I’ve got the same issue. I reworked it with the thought process that two posts will have coverage and one will end up being skipped … I ended up with the correct st count. Yay! At last, patterns for men. I have plenty of patterns for the ladies that I think are suitable for converting to male shape and size so this is great. I was so happy to run across this pattern from you! 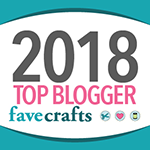 I’ve made many of your designs and love them all. This one was particularly satisfying because I am working on making “cool” hats for the cancer center where my dad is getting his treatments. I wanted to make something other than just boring old beanies, and I could find lots for women, but very few quick and fun ones for men. Thanks again for another fabulous pattern!!! <3 You’re so welcome Tammy! Thank you for all you do! Hi Tamara! I’m trying to crochet the golf cap for my husband but, having trouble with row 7. I get 88 stitches instead of 84. Please, help me!!!!!!!!!! Thanks!!!!!!!! Hi Liza! It sounds like you’ve got a couple extra increases in there. There should only be 12 sts added in that row. I’m afraid it’s hard to say where they’re popping up though without being there. Hi Tamara: I started all over again from row 5, and this time I got it right. Thanks so much! For your help, for sharing your talent and patterns. I’m looking forward to finish the cap for my husband. Thanks again!!!!!! 😀 I’m so glad to hear it worked out! Thank you Liza! 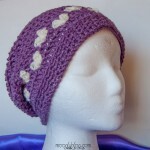 Love this hat… Have made three for Xmas present already! In the round 11-13 section, it says to “Ch 2, fpdc in the 1st st, dc in the next st, fpdc in the next st, dc in the next 2 sts, fpdc in the next st, dc in the next 2 sts, fpdc in the next st, dc in the next st” After the last fpdc it says to dc in the next stitch when there are two stitches. I know that you meant to dc in the next 2 stitches, but it can be confusing so just letting you know. This and all of your other patterns I’ve tried are really great 🙂 Thanks for all of them. I love this pattern, and I’m glad you made it free. My son wants one for his birthday, which was yesterday! I have frogged this pattern many, many times, and I still can’t get it right. My stitch count is ALWAYS off after round 4. My last attempt has 3 extra, should be 48 – I have 51! Please help!! Thank you so much in advance!! Hi Connie, sorry to hear you’re having trouble! I’ll try to break it down. In Round 3 you end with 36 sts. We’re going to increase by 12 for Round 4, so that means you’re going to increase by one stitch for every 3 sts. So as you begin Rnd 4, look at the first 3 sts of Rnd 3. In the first one, work a fpdc. In the next one, work both a dc and a fpdc. In the 3rd one, work a dc. Now begin again with the next set of 3 sts – fpdc in the first one, dc and fpdc in the next one, dc in the last one. Continue like that on around. Does that help? I thought I had that down pat, I’m going to try once more right now. If I have trouble again, is there anyway to maybe send a picture of what I come up with? I can say I am an intermediate crocheter, but you’re never too old to learn something new or a new way of looking at things!! 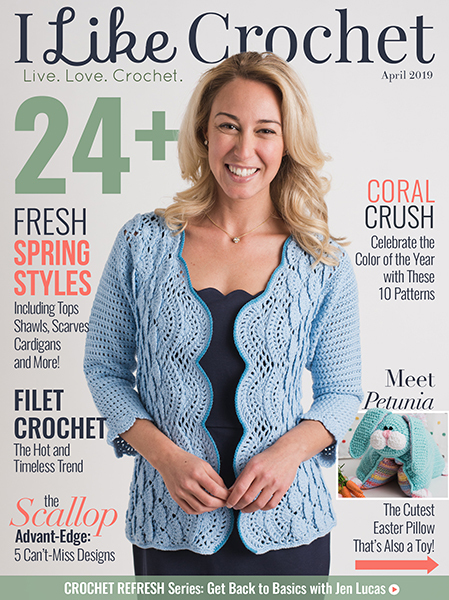 Tamara you are the Queen of crochet forever more!! I was looking at the whole row and the way you broke it down made ALL the difference!! I now have 48 stitches on row 4!! Now onward to row 5…. Thank you so much for the incite!! Oh I’m so glad to hear it! 😀 Thank you so much Connie! Do you have a tutorial video that shows some of the rows (ie: row 5).? Hi Julie! I’m afraid I don’t have any videos specifically for this pattern. 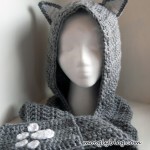 If I wanted to make this with a mercerized cotton lighter weight product, like Patons Grace or Aunt Lydia’s superfije (1) crochet thread (& obviously a smaller needle), how would I adjust the pattern so the size remains the same for an adult? 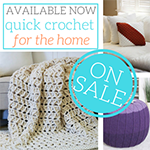 You would either need to hold several strands together or rewrite the pattern to add a lot of rounds! I am doing that right now for my husband. I am using 2 strands together and a smaller hook size. It seems to be working well, but I am only half way through so I will try to remember to comment when it is finished. Right now I am using a size H hook and the Aunt Lydia’s classic size 10 thread. Hope you can do it too and thank you soooo much Geoff and Tamara for your efforts and commitment. Thank you for making such a gorgeous pattern. Im hoping I can do it some justice, if i can ever work it out. Was wondering if you have a diagram to go along with the written instructions? Hi Cassie! Thank you so much, I’m afraid I don’t have a chart for this one. Would it be OK, if i made one up, so that i can get my head around the pattern better? It would be for my purpose only. I love the pattern and just made it for my husband in less than 2 days. It took me a while to figure out the pattern but once I got it, it worked up really fast. Thank you for sharing. 😀 Thank you Annick, I’m so glad to hear it! Thank you for sharing this pattern. Very easy to follow and works up well in several days. Thank you so much Annabelle! I’m trying to make this hat. I’m on row 13. It looks like a big ruffle. It would help if u had some “as you go” pictures. I have no idea if I’m doing this right. I’m sorry Gina, this is an older pattern. Counting your stitches is the best way to make sure you’re on track. Hello, im trying to make this cap for a christmas present but im not sure which post belongs to each stich, is the post of a stich the one befor the actual stiche, so, to the right? Also, my cap appears to be much more loose, holes seem big compared to the one on your husband which seems a much tighter crochet but mine measures the same at round 5 as you said it should, im using Aran yarn. Any help and advice would be greatly received, wish you had a vidoe for this project like you have for the 60 minute slippers which I have made and added too successfully. Sandra, UK. Hi Sandra! If you are right handed, it will be slightly to the right of the top V that you normally work into. 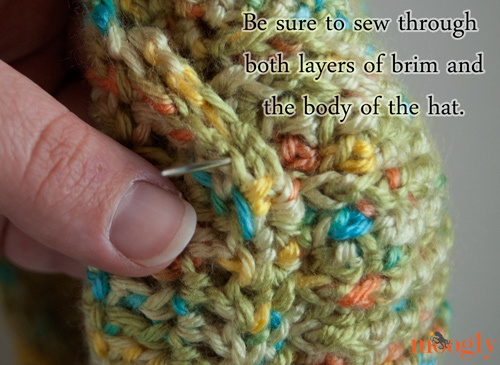 Different yarns have a different “halo” so if your yarn is smoother it may make it look looser even at the same gauge. 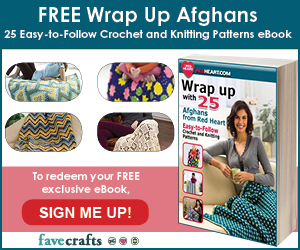 Thank you so much for all of your free patterns, they’re amazing and really fun/challenging!! I’m running into a problem though, that I can’t rectify. I’m confused about round 11; I’m working it with the mindset of the 10 stitches being repeated 12 times to get the 120 stitches for the entire round, but there seem to be open stitches from the previous round at the end of my 2nd set of 10. I’ll try to give you a visual: Looking at the overall pattern of the hat, it seems like there are 3 prominent posts with a fan-like space of stitches separating them. It looks like the start of round 11 is in between the 1st and 2nd of 3 of the prominent posts that I mentioned, but that allowed me to work the 10 stitches correctly. Since the 2nd set of 10 stitches incorporates all 3 of the prominent posts, the 10 stitches end in the middle of the fan-like shape instead of reaching all the way to the next set of prominent posts. Would you be able to tell me what it is that I’m doing incorrectly from my description? I would appreciate your help very much! Thank you again for sharing your talent with all of us! Never mind! I think I just misread the order of the stitches and worked a dc where I shouldn’t have; I’ve got it now ? You can use it for whomever you like! 😀 Thank you! hello ronson! 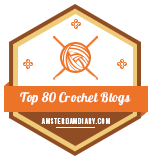 congrats on learning to crochet – you are very ambitious to jump into a cabled pattern already, well done! the answer is, you dc under both loops of the indicated st like a normal stitch, then fpdc around the post of the very same stitch. Thanks for taking the time to reply, Tamara. Regarding being ambitious, the problem with starting a craft late in life is there’s no time to waste so into the deep end I go. Anyway, I instantly fell in love with the cap and just have to master it. Cheers. then i have full confidence you will do so! Dear Tamara, I’m currently at row 17 and found the hat too big… Which row(s) can I omit? Such row 12 and/or 13? Yes, 12 and 13 would be good ones to omit for a smaller hat! Sorry it was in Traditional Chinese, however I don’t feel the need to re-write in English again since your description is quite clear! Thanks for the pattern and hope to work on your other patterns in near future. It looks great! 😀 Thank you Cecilia! I can only fit in so many videos a year, I hope to be able to add one for this pattern someday. I know it’s an intermediate/advanced level pattern. I agree. I made it once and fussed about with it until it turned out OK. But, I really want to make a couple more for my son in different colors, but getting back into wrestling with it again is daunting. A video would be great, and so helpful! Love this golf hat. My 94 year old father wears golf caps all the time, so I made him a black one by your pattern! Excellent instructions! I’ve got to the tacking of the brim. Ive folded over and stitched the brim. Am I suppose to tack it to the body of the hat all the way across at the single crochet fold??? Thank you for this free pattern! Do you have a video to show how to do this? I get confused at round 4. No, but it does sound like one is in order! Is there a particular part that is tripping you up? Would a chart help? Could you email me a copy of the instructions for the golf cap? Our printed copy came out with the ads on top of the print. I will have to copy them out by hand if you cannot. Thank you for the free pattern. Can not wait to begin. gin. P.S. My email address is in lower case. The system put it in caps, sorry. You wouldn’t happen to have a video on this pattern would you? I’m just learning to read the written ones. I’m sorry, not for this one, no. I hope to add one next year, if possible. Hello, I am very confused on how to assemble the brim. Do you assemble brim with the with wrong side facing you? I’m not exactly sure where to fold for the third time and attach to front. Please help. Other than that the pattern is great and very easy to follow. I’m sorry I’m not sure what you mean by that question. You can turn it right side out? Yes ma’am. Do you assemble hat right side out? So I probally should have picked an easier first hat but I loved the pattern. So the problem is mine looks like a mushroom and I’m not sure where I went wrong. It was the same 5in in the beginning and I counted every row stitches and those were correct. So I’m going to try it again but any hints might help. Oh I used j hook and lions brand fisherman wool worsted weight. Hi Kelly! This is indeed probably my most complicated pattern! By mushroom, I’m guessing it’s too pointy on top? This might be helped by blocking! Well i should have define mushroom better thinking about it I’d have to go with shower cap.. The hat is not flat. It round and kind of wavy on the sides I tried blocking but just can’t get it to lay flat, and look like yours. Aha, okay! Have you started the decreases at all? we’ll it was wavy before and just became more pronounced when I did the decreases. I can’t remember when it stopped being flat I just kept going figuring it would flatten out when I was done. I absolutely love this hat. I made a similar one watching a youtube video, and came across your pattern. Its the first time I’ve done anything with cables. I am using RED HEART yarn, worsted weight “4”, and the project is curling A LOT! I am on row 11 and cannot flatten it out. I haven’t gotten to the gauge yet. Hi Marion! Lots of blocking and maybe a bigger hook? It should have a little bit of stiffness to retain shape – when you start the decreases, it will pull in at the bottom for that golf cap shaping. Ok, thank you. I also had the stitches tight, so that may have been an issue. I’ll try loosening the tension and a bigger hook. I have frogged row 6 nine times now and cannot come up with 72 sts. I double checked that I had 60 sts at the end of row 5; I just can’t get it and I’m ready to quit! 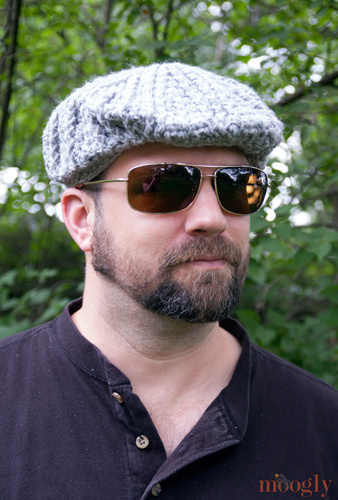 I really want to make this for my husband for our anniversary because he always wore these hats when we met. Hi Katrina! I’m sorry to hear you’re having trouble! You are correct – every 5 sts should have an increase. I would recommend putting a stitch marker in the 3rd st, and then every 5th st after that around – for a total of 12 stitch markers. These will mark the stitches where you increase, and should help keep you on track! I hope it helps! I’m curious how you would scale up the size of the hat. I’m thinking about making this for Dad for Christmas but his hat size is extra large. Hi, I really love this pattern, it’s such a beautiful design. I want to make it for my husband for Christmas, and have started. My question is he has slightly larger head 24″ head, so this being 23″ would be too tight. What do you suggest I do and have it look uniform still? If I had a round, which round should a duplicate?